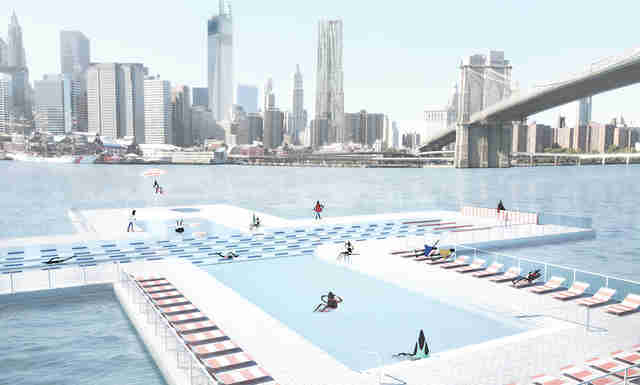 New Yorkers eager to swim in the East River without catching a communicable disease got some welcome news last week, as the mad geniuses behind the proposed floating swimming + Pool began testing their innovative filtration system. 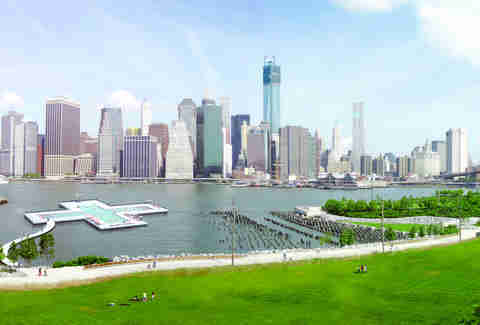 Designed to remove "bacteria and contaminants", the filters will turn an estimated 500k gallons of gross river water a day into clean agua you will happily enjoy frolicking in. Chloe Pantazi is an editorial assistant on Thrillist's travel team. 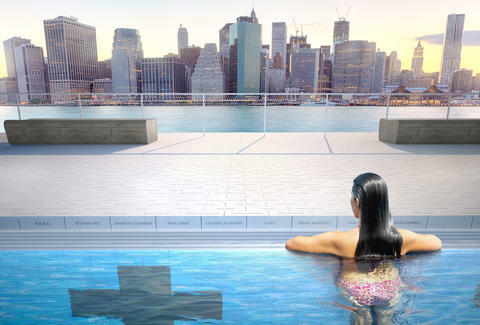 She's holding out for a Minus Pool on the Hudson to balance out Manhattan's energy, but really so she can pretend to have her own river-pool. Follow her on Twitter at @ChloePantazi.